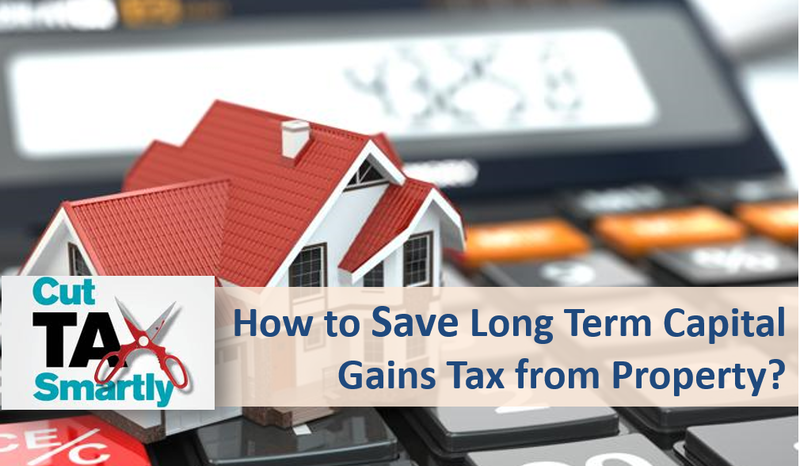 The long-term capital gains from property can be huge especially if the asset was held for really long term. These gains are taxed at 20% + cess (effectively 20.8% from FY 2018-19) which can cause a major dent in the amount received on sale. So if we have an option to save, we must save on this tax. The post below gives details of the 3 sections concerned with the Saving of Long Term Capital Gains Tax from Property. The new property purchased or constructed should not be sold with-in 3 years of purchase/construction. In case the sale happens within 3 years, the purchase price of the property would exclude the capital gains exemption that was claimed. There is NO limit to the amount of capital gains that can be exempted u/s 54. If the long-term capital gains are less than or equal to the new house purchased/constructed, the entire gains would be tax exempted. In case the capital gains are more, the difference of capital gains and cost of new house would be taxed. The NEW House should be on the same name as on the previous property which was sold. Even if the builder fails to hand-over the under construction property with-in 3 years, the exemption still holds. Also Read: 23 most common Investments and how they are Taxed? Under section 54, the tax payers are given 2 years to purchase the house or 3 years to construct it, however the long-term capital gains arising out of sale is taxable in the financial year the transaction happened. Both the above provisions are not consistent to each other. To avoid this, the tax payer has to deposit all their unutilized long-term capital gains in “Capital Gains Account Scheme” of banks before the due date of filing returns (in most cases before July 31). The income tax return forms ask for details of the capital gains account, which should be filled in correctly. Also, the amount which has already been utilized for purchase/construction would be exempted from capital gains. In case the amount deposited in capital gains account has not been utilized (partially or fully) within 3 years, it would be considered capital gains of the year in which the 3 years would be completed from the date of sale. You can save long term capital gains on assets if you invest the gains in specified long term capital gains bond within 6 months of sale of asset. As of today, NHAI (National Highway Authority of India), REC (Rural Electrification Corporation) and PFC (Power Finance Corporation) issue capital gains bond and have annual interest rate of 5.25%. The interest earned is taxed as per the income tax slab. Also, the bonds have tenure of 3 years which would increase to 5 years from FY 2018-19 (as changed in Budget 2018). Until this year these bonds were available for long term capital gains from any asset but from FY 2018-19 the capital gains resulting from sale of property (land/building/residential/commercial) can only be invested. Also Read: Should you Invest in Capital Gain Bonds to Save Taxes? The maximum investment that can be made in capital gains bond is Rs 50 lakhs every financial year. In case entire amount is not invested in new purchase, the exemption would be proportionate. The tax payer should not have more than 1 residential house as on the date of sell of the asset. The tax payer purchases any residential house other than the new house within 1 year of sale. The tax payer constructs any residential house other than the new house within 3 years of sale. Budget 2014 also made it compulsory that the new house should be located in India. Also, the capital gains account scheme can be used by the tax payer if required. The proceeds should not be invested in a commercial property or in another vacant plot. We have explained all 3 sections – Section 54, Section 54EC and Section 54F which can be used to save long term capital gains tax on property. Should you Invest Rs 50,000 in NPS to Save Tax u/s 80CCD (1B)? Should you Invest in Capital Gain Bonds to Save Taxes? If the property is held jointly by Husband and Wife, can be split the LTCG equally between them? This will reduce some tax burden. Pls explain. Yes you can split the capital gains among you based on share in property or share of contribution both have in purchasing it. I have sold my flat in sept. 2017 at Rs. 32 L, whereas i have purcahsed the same at 30.01 L in may 2013. Is there any form that i can availe the Loss of this long term investment. Kindly send one example for govt salaried employees tax caliculation.